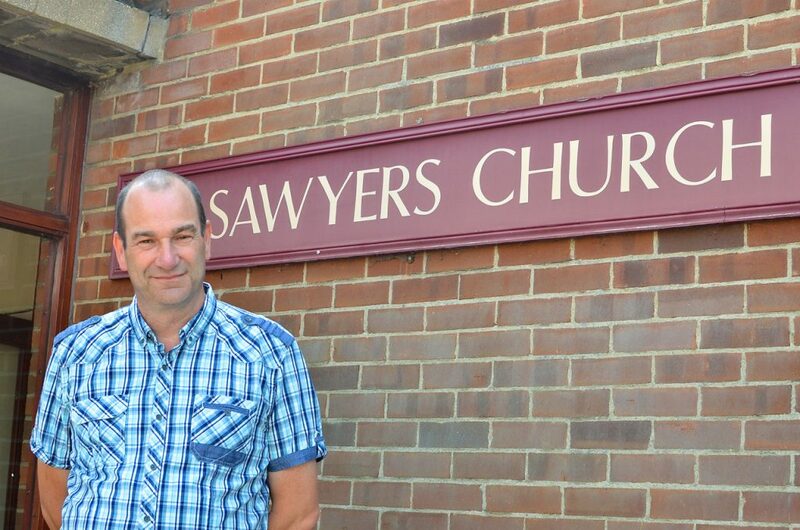 Sawyers Church is active in many parts of the community: serving and helping people of all ages and backgrounds. Despite affecting 15% of the UK population, many people living with anxiety are simply told to ‘snap out of it.’ Anyone who has lived with anxiety will know it is much more difficult than that. In a 2010 Anxiety UK survey, 55% of respondents revealed that they did not feel comfortable telling others about their anxiety. Hiding anxiety can lead to increased isolation, resulting in prolonged suffering and delayed help. The total number of cases of work related stress, depression or anxiety in 2014/15 was 440,000 – 9.9 million days were lost. In 2014/15 stress accounted for 35% of all work related ill health and 43% of all working days lost to ill health. We live in an increasingly stressful society and anxiety, panic and depression are on the increase. One of the things I am very thankful for is my upbringing. My parents were very loving and supportive, they encouraged me in the life choices I made and gave me a church upbringing. One of my first Christmas Presents was a toy pedal car which I drove around the garden. This pedal car was a blue police car and from that day my destiny was certain; I wanted to be a Police Officer. At seventeen years of age, I left school, and went to Hendon Police College to become a Police Cadet and then to become a Fully Qualified Police Officer. My first station was Leman Street Police Station, which covered the East End of London around Whitechapel and Wapping. At 19, I can remember my first patrol out on my own as a Police Officer in uniform along the Commercial Road. I couldn’t take my eyes off of my reflection in the shop windows and I walked straight into a lamp post to the amusement of the people around me. Thankfully, the days, weeks, months and years that followed were an improvement and I enjoyed my time in the Police Force during the 1980’s and 1990’s. As a young man, I was confident and impressionable and I got caught up in the police culture, spending most of my time working and drinking and feeling totally self-sufficient. In my eyes I had made it and was proud of my achievements as I had received several human awards and commendations. Unfortunately, this new found macho self-image meant that I abandoned my faith and turned my back on my upbringing. As part of this, I threw my Bible away which had been a special present from my parents to me as a teenager. In the police, I was driving the fast cars, trained in the use of firearms and mentoring other young police officers. My friends all wanted to hear the latest police stories and what tackling crime was really like. At the age of 28, all of a sudden, things changed. I was called to a young girl who had fallen into the canal and I was involved in a car chase that ended in an accident. The young girl drowned and the driver of the car we were chasing was killed together with the passenger. For the family and friends of these two victims it was devastating. For me, I suddenly realised that life was fragile and I to some degree was wasting mine. For about a year I struggled with depression, panic attacks, anxiety and stress – they seemed to come from nowhere and began to define who I was. I spent night after night at Accident and Emergency convinced I was having a heart attack and every day I was just pleased to get through. I went from being someone full of confidence to a person who needed my parents to be around me just to sleep. I could not believe what was happening to me and wondered how I could ever recover. I felt trapped and often alone. I struggled to hold on to my job and had to have bouts of time off sick to hide the truth of what was happening to me. One night, while my dad was at my bedside, out of the blue he said to me, “Peter you need peace”. Those words, were my inspiration to find my faith and find that peace that I had as a teenager in church. I started to go back to church and pray. One of the great things about going back to church was that I found acceptance and a network of support around me; people who would listen and did not right me off and define me because of my struggles. It was a long journey to find my way back and learn to deal with anxiety, stress, panic and depression. Step by step my faith in God became my foundation and those around me my encouragement. One night, at my parents’ house, my dad left the room and came back carrying the same Bible I had thrown away. He had retrieved it from the bin, years previous, in the hope that one day it would be needed again. He presented it to me and it has become one of my treasured possessions and a source of great inspiration. About this time, my role as a Police Officer changed and I was part of the Diplomatic Protection Group (DPG). Our role was to guard and protect politicians, diplomats and embassies. One particular cold winter’s evening, I was on my post outside the Turkish Embassy. I had to be on post for two hours and as I stood there, after just ten minutes, I could feel the panic and anxiety rising in me for no particular reason. The panic grew and grew and I could feel myself begin to hyperventilate; I was petrified I could not do my job and would need to call for help. What would I say? Would people understand? Would people realise I was not coping and label me as someone who could not be relied upon? I knew the stigma in the Police at this time that was attached to stress and mental health. In this fit of panic I remembered a passage in the Bible, “Do not be anxious about anything, but in everything, by prayer and petition, with thanksgiving, present your requests to God. And the peace of God, which transcends all understanding, will guard your hearts and your minds in Christ Jesus”. I began to do exactly that and focused my mind on someone who was bigger than myself. I began to think positively and prayed for help. I was mindful of the presence of God with me and mindful of the moment in hand. Before I knew it, the two hours had passed and I was being replaced by the next shift who were unaware of the battle that had just taken place. The panic, anxiety and depression had not won and I began to realise I could overcome but it was one fight at a time. I also realised that there were some simple strategies I could put in place that could help. This experience was life changing for me. Making sure I take notice of what is around me – being aware of the world around me and what I am feeling. Making sure I give by doing something nice for a friend or a stranger. 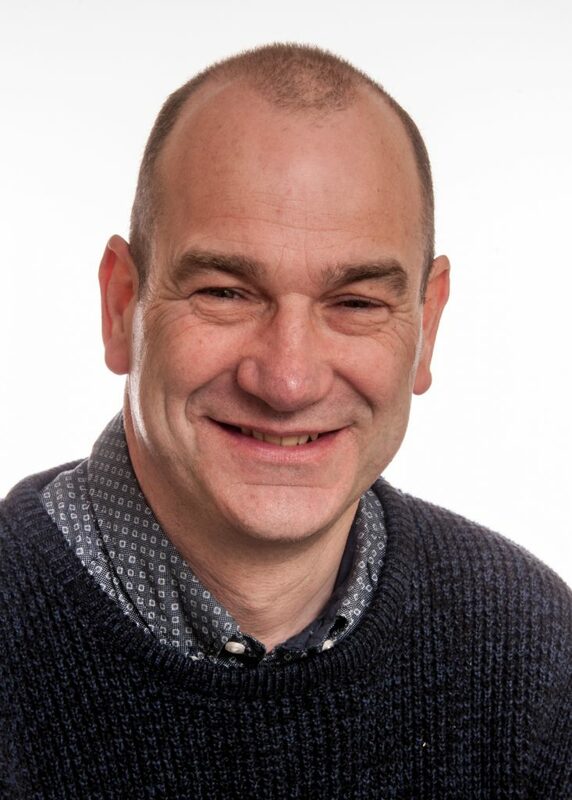 I am now retired from the Police Force, after 25 years’ service, and I am the Senior Pastor of Sawyers Church. Being a Pastor is completely different from being a Police Officer but it is wonderful to be able to help and support people and use some of my own experiences to empathise with others. As a church, we understand the stigma around mental health, stress, anxiety and panic and we are also aware that many people are affected by these issues. We would like to provide a network of support and encouragement to anyone facing these battles. I know that strategies, friendship and a listening ear can make all the difference. For more help in regard to mental health, anxiety and depression please contact www.mind.org.uk or Sawyers Church on 01277 210422. 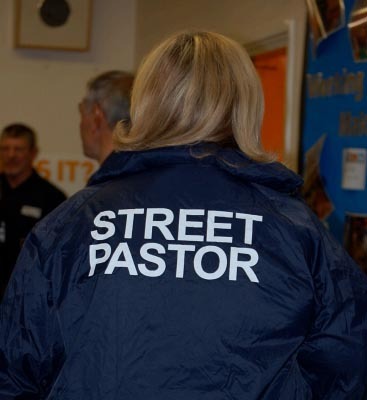 Street Pastors go out on the streets at night to help people who are using the night time economy. Sawyers Church is a community venue for reporting hate incidents and crimes. Pastor Peter’s vision on how Sawyers Church can continue to serve the community.